Exquisite 100% rayon Hawaiian shirt manufactured to make any hot day bearable! 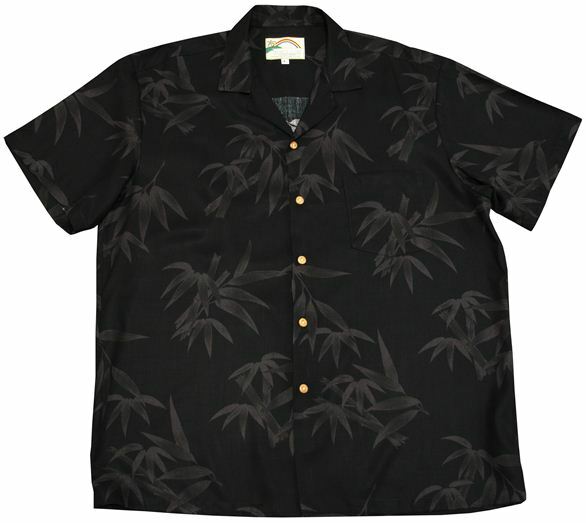 This open-collar Hawaiian shirt is made of soft and smooth rayon, making it breathable. Hawaii locals like to wear their Hawaiian shirts loosely, for a more laid-back look. *Size XS aloha shirts will be manufactured when ordered, so it can NOT be canceled, exchanged/returned and production time will be between 5~7 weeks from day of order. Please be sure to review your order before making your purchase. In the early 1900s "Hawaiian Clothing" became a universal symbol of Hawaii's warmth and spirit. Paradise Found carries on the Hawaiian tradition by manufacturing the highest quality, most authentic versions of the islands favorite designs. From the warm, romantic days of old Hawaii, Paradise Found brings you the islands most authentic designs of nostalgic and modern Aloha shirts and dresses. This is an easy-to-take-care of, machine-washable 100% rayon shirt. I am US size L and recommend size M on this shirt. This is vintage-style aloha shirt. Just like the one Tom Selleck wore on "Magnum P.I.". Very cool! !